Tooth bonding can make beautiful smiles. You may have perfect front teeth but can you imagine if those teeth have spaces between them? You would wish those teeth could be nestled up next to one another other without those gaps showing. Or maybe there is one tooth with an unattractive chip that you want to be made whole again. With a reliable cosmetic dentist at Midtown Dental Center in Sarasota Florida, there is a way. With a visit to Dr. Peter Engelsberg, your problems can be solved with a bit of a tooth bonding procedure. Dental bonding procedures have been used since dentists discovered a special composite resin that can be permanently bonded with teeth. Today, tooth bonding is one of the quickest and most inexpensive ways to fix a broken or uneven tooth, and can also be used to fill spaces between teeth. One good thing about tooth bonding is that this procedure can often be completed in about an hour. In the areas of Bradenton and Sarasota Florida, Midtown Dental Center is a dental office that offers tooth bonding as a cosmetic dentistry procedure. Dr. Peter Engelsberg, your Sarasota Florida cosmetic dentist, will carefully consider the shade and color of your teeth in order to pick to be able to choose the right bonding material that will perfectly conform to their natural color. Then, he will apply the resin to your teeth and form it to complement the shape and size of the surrounding teeth. Once the bonding material has hardened, it will be polished until the desired sheen is achieved. Your cosmetic dentist should have an eye for art because cosmetic dentistry requires the combination of a dentist’s scientific knowledge and artistic skill to produce high quality results. You can be sure that at Midtown Dental Center, your cosmetic dentist understands that your teeth can affect your appearance and have the potential for enhancing beauty. It is not uncommon for patients to look in the mirror with surprise after Dr. Engelsberg has done a dental bonding procedure with results that exceed their expectations. 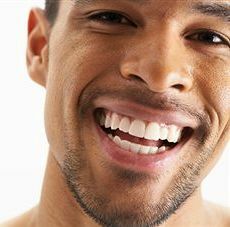 Tooth bonding can certainly give you the perfect, beautiful smile that you have always wanted. Since fifty years, dental bonding has been one of the most reliable restorative dental procedures used and the best part is that it is quite inexpensive. So if you have broken or chipped teeth, stained teeth, or if there is a gap between your teeth, make an appointment for a cosmetic bonding procedure with Midtown Dental Center today, and find out how it can be the best option for you in Sarasota Florida.